This ‘Paper Recycling Machine’ was set up on World Environment Day (5th June) 2005 in as part of the Delhi Government’s Bhagidari scheme. 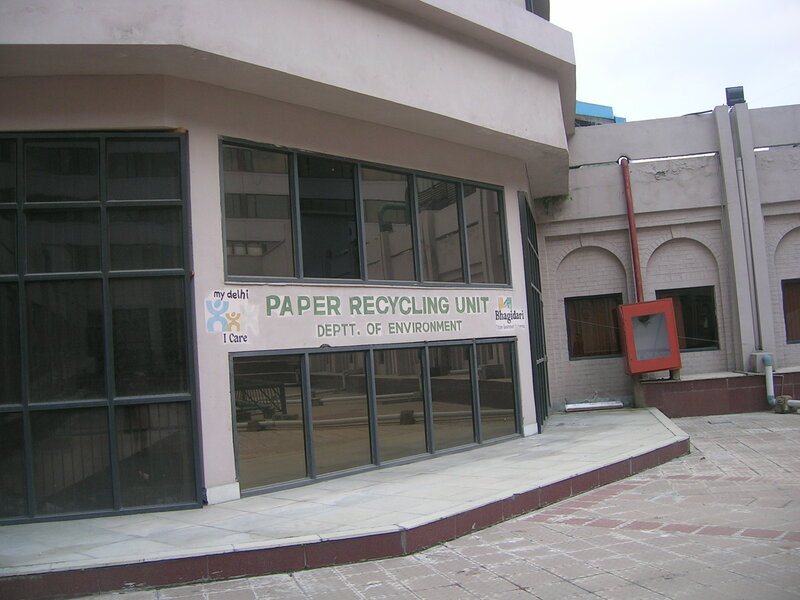 “With just three full-time staff , this unit helps recycle (per day) about 50 kgs of paper on an average and produces 200-250 sheets of recycled paper”, informs Dr. B.C Sabata, Senior Scientific Officer in the Department of Environment, Delhi Government. 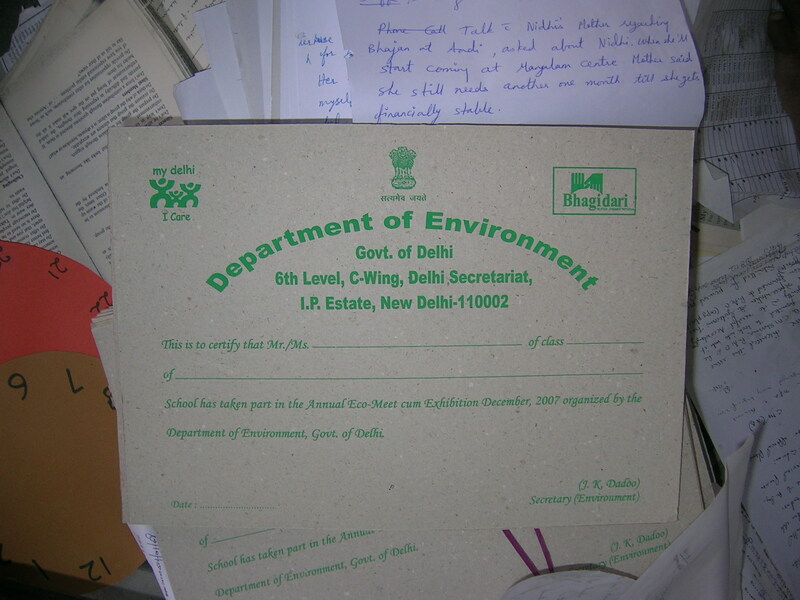 Most file covers, invitation cards and even felicitation certificates used in the Delhi Secretariat are made of recycled paper. 1. It all begins with efficient ‘Segregation’ of waste thus, each office under the Delhi Government has a separate bin placed therein which is to be used only to discard waste paper (without staples and non-laminated). This is then sent to the recycling unit. However, newspapers and glossy sheets are not sent over to this plant and recycled separately at other recycling units. 2. 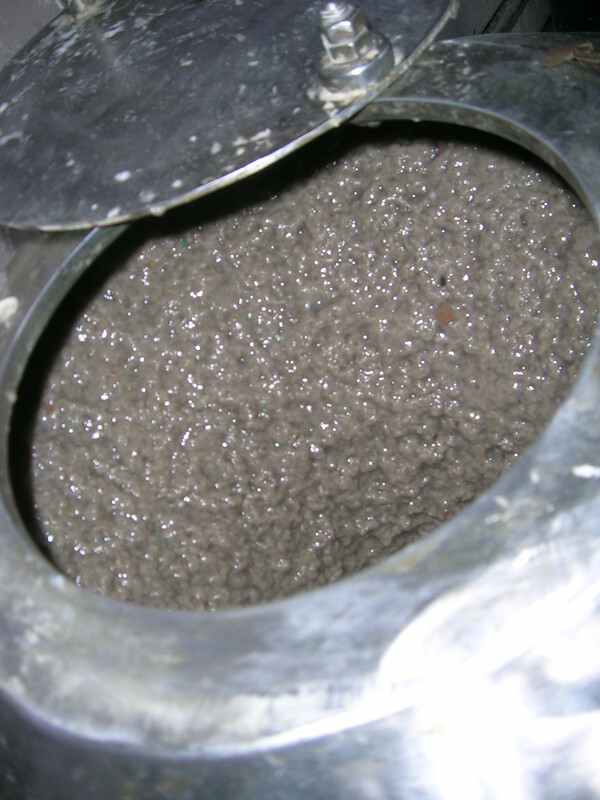 Waste paper is soaked in water placed in buckets for a couple of hours and then transferred to a ‘Hydrapulper’ in which the soaked paper is converted into fine pulp. 3. The technicians at the plant now pour this pulp on the wire mesh placed in the ‘Univat’. The quantity of pulp pored on the mesh is directly related to the thickness of paper one wants, so it will be more if they want to make paper for the purpose of printing a certificate and less if one wants to make file folders out of it. 4. 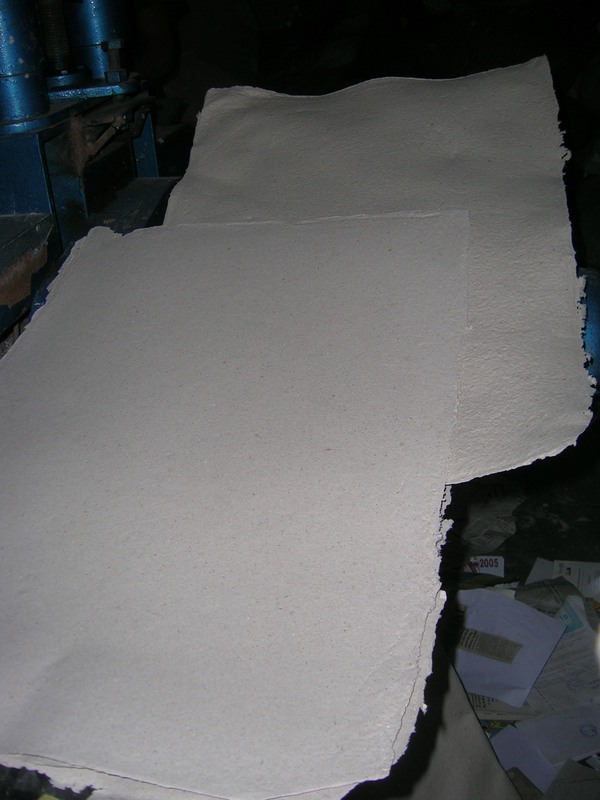 About 50 alternating sheets of wet paper pulp sheet and muslin cloth are placed in a ‘Screw Press’ and the water is drenched out completely. 5. The sheets are sun dried and it takes a couple of hours of good sunlight to dry them completely. 6. The sheets are pressed in a ‘Calendering Machine’. 7. 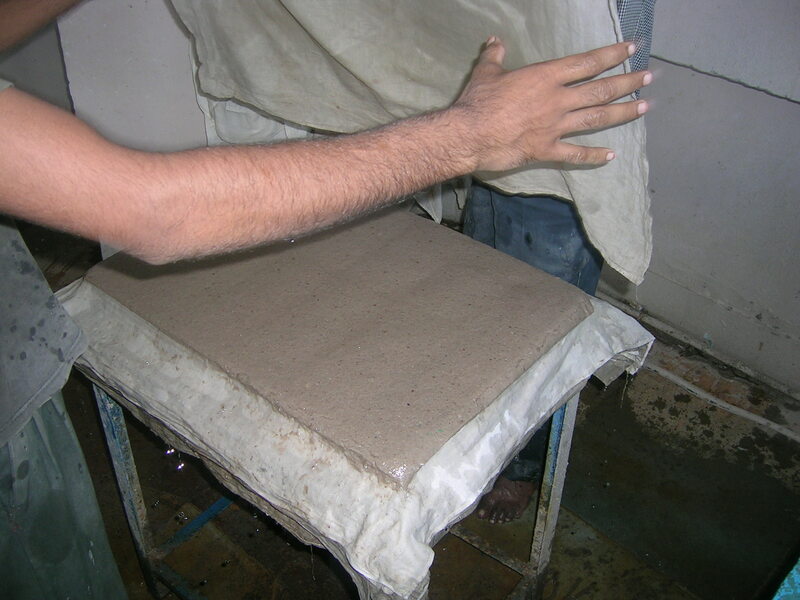 The pressed sheets are sent to the plant in Ghitorni where they are cut and printed as per the requirements of the various offices in the Delhi Government to make things like the ones shown below. 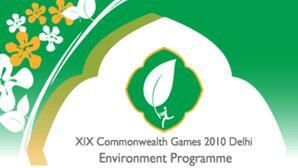 Keeping in line with the Delhi Government’s intent to host the first ever ‘green’ Commonwealth Games (that are due to begin from October 3rd, 2010), the Environment Department has also identified over 80-100 schools having paper recycling units to recycle waste paper that would be generated from different venues of the event. 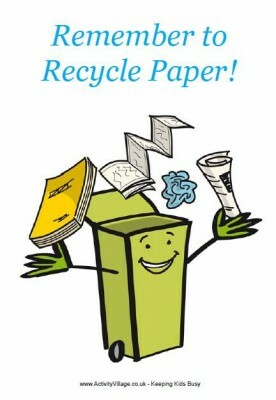 Do you want to recycle your waste paper? We at ‘Jaagruti’ can help you! Segregate every tiny little scrap of paper waste in your home and office and not just newspapers and magazines as most of us generally do. How can you segregate every bit of waste paper? and anything else that you can think off ! How does recycling paper help the planet? Indian consumption of paper is five kilograms per capita, with an expected growth rate of 6-7% per annum over the next five years. By using paper carelessly, we contribute to the depleting forest cover, drastic climate change and water pollution. For every ton of paper, the paper industry guzzles up 2.8 tons of dry timber and 24,000 gallons of water, besides electricity and other resources. Pulp and paper industry is a major contributor in terms of air and water pollution. Recycling of paper not only saves trees and minimises pollution, but also reduces the waste problem by utilizing waste material like used paper, cotton rags and unwanted biomass. Hi I am doing research on some enviro tips I can make use of or at best get ideas from. Thanks for this. 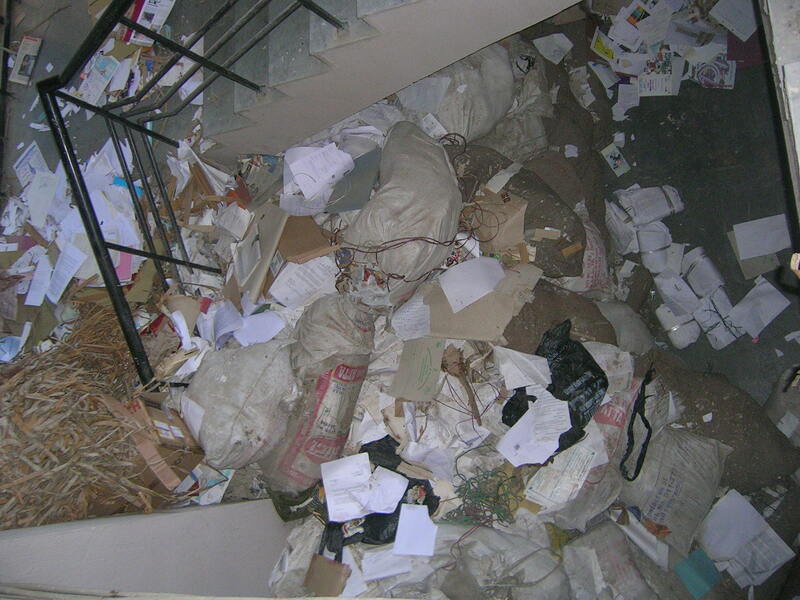 Hi can you provide more information as to how we as individuals can do the same is there any company or organization that helps in recycling paper… Im part of a firm and have somewhere 200 kgs of waste paper and i want to get it recycled.. Kindly please guide me through. Have sent you an e-mail Ved, will be giving you the contact details of the organisation and the contact person therein on it by tomorrow. Its great you wish to do this with your firm’s paper waste. Wld be waiting for your mail for detail.. Thanks Ved for your kind words of appreciation on the content of this website. Have sent you the mail with the details. Hi Ved, have sent you a mail wit the contact details a while back. Hope that helps. congratulations for the innovative idea.. I would like to know about news paper recycling plants in india..
i want to air the ecofriendly information & also help my village people by setting a such plant in karnataka. we want to install a waste paper machine in our college.Kindly provide details. Reblogged this on Jaagruti's Waste Paper Recycling Initiative. We stay in sector 40 Noida, and are currently tormented by the attack of monkeys in the sector. They are breaking the flower pots, scratching the cars and making it impossible to move in and out of the home without fear. I will really appreciate if you could pass along the appropriate contact person who can help us with the same. Where can one buy recycled paper?